BBC iWonder - Does satire influence politics? Satire is the art of mocking those in power. To do this you need freedom of speech, a right which has its roots in Magna Carta of 1215. Satire is much older than that though – it's been around since ancient Greece. Using your right to free speech in this way also means you run the risk of offending somebody. This can have tragic consequences, like the terrorist attacks in Paris on the staff of the satirical magazine Charlie Hebdo. Satirists can highlight inequality and injustices in a society by using humour to exaggerate them. But pointing out that a problem exists is only the first step. Can satire really change how our politicians rule the country? To see how satire developed in Britain, we need to go back to the 18th Century. As well as mocking politicians, Gillray also commented on global affairs. 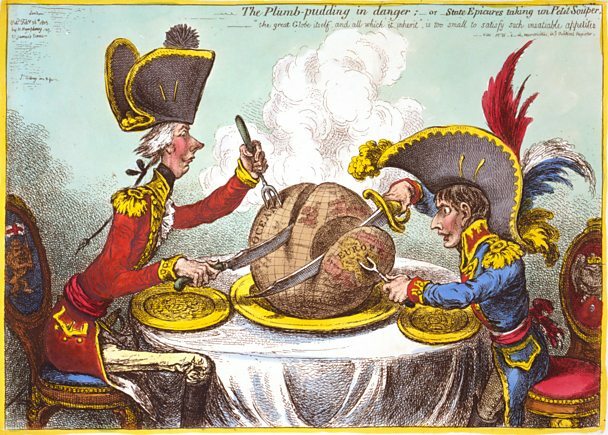 In this picture, Napoleon Bonaparte and William Pitt are carving up a globe – caricaturing their desire to seize control of large parts of the world. Satire really took off in Britain during the 18th Century as the House of Commons and the prime minister began to draw additional powers away from the monarchy. Both became targets for the pens of satirists. To modern eyes some of these attacks are surprisingly vicious. The notoriously corrupt prime minster Robert Walpole was compared to a highwayman in one opera. Jonathan Swift highlighted the poverty in Ireland and subsequent famines with the shocking spoof proposal that the Irish should eat their babies. This led to public debate but Ireland's woes were to continue and worsen. Yet it was a cartoonist who really had the powerful quaking in their boots. James Gillray's satirical cartoons were reprinted in newspapers and cleverly mocked politicians and the monarchy. Through into the 19th Century and beyond, cartoonists would continue to chip away at, and even demolish, the reputations of politicians. Producer John Lloyd can see a link that connects Spitting Image to 18th Century satire. Clip from Rude Britannia, You Never Had It So Rude. In the 20th Century broadcast media like radio and TV arrived on the scene. This might have seemed like a perfect opportunity for the satirists to make hay. Yet producers initially treated politicians with a great deal of reverence. And the monarchy was untouchable. But it all changed with That Was The Week That Was. When the show launched in 1962 it did something never seen before on TV – its sketches, monologues and songs mocked politicians and ridiculed them for their mistakes. Many MPs were outraged at their portrayal and pressured the BBC to axe the show which it finally did in 1964 after two series. The show left a lasting legacy – politicians were fair game for TV satire. Yet it wasn't until the 80s, when Margaret Thatcher was in power, that satire came back in a big way with Not The Nine O'Clock News and Yes Minister. Then came Spitting Image, one of the most powerful satirical shows of the decade which used grotesque latex puppets and voice impressionists to make fun of MPs and even the Royal Family. It drew a huge audience, peaking at 18 million. It seems surprising but Spitting Image co-creator Roger Law is sceptical that the series influenced politics: “I don’t think, in retrospect, that it did make a difference.” But many disagreed with this assessment – David Steel's wife always believed that her husband's reputation as a politician was destroyed by the programme. John O'Farrell was one of the writers behind Spitting Image in the 1980s. 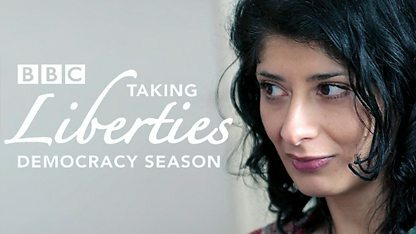 He tells Shappi Khorsandi about the positive and negative impact that satire can have on politics. Spoof Twitter accounts are a tool for modern satirists. 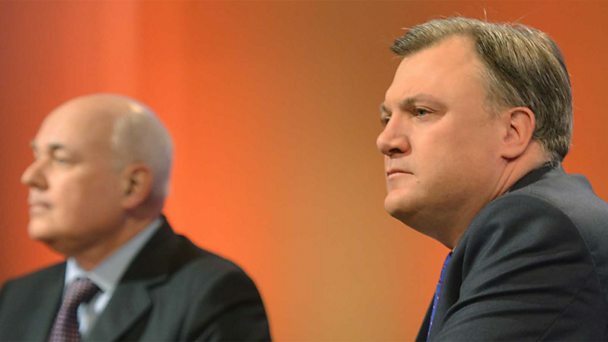 Senior politicians like Iain Duncan Smith and Ed Balls have both been lampooned by tweets made in their name. Modern politicians have an increasingly complicated relationship with satire. Many choose to go on Have I Got News for You where they will often be mocked. Why do they put themselves in the firing line? Some, like Boris Johnson, have found that appearing on satirical television has improved their public profile. Yet many MPs view the show as potential career suicide and will do everything to avoid it. The internet has also opened up new avenues for satire. News sites are spoofed by the likes of the Daily Mash. And social media platforms like Twitter offer us all the chance to be satirists from the comfort of our phones. Satire continues to be an important part of the political landscape. Its voice continues to provoke and challenge and the most effective satire can change our opinions on an issue or a person. But it doesn’t directly force change – no laws have been introduced in parliament off the back of satire. However what it can do is change the career prospects of many of our political figures, for better or for worse. Which of these figures was hindered by satire? ...first appeared on Have I Got News for You in 1998 before he was an MP. But even once he entered professional politics Boris continued to appear on the show, reaching high office by becoming Mayor of London in 2008. ...was once tipped as a future prime minister of the UK in the early 1980s. But the Liberal Party leader was shown by Spitting Image to be subservient to SDP leader David Owen, damaging his political credibility according to his wife. ... was caricatured as a man who ate, drank and gambled excessively. But as heir to the throne, he was always going to become King George IV, no matter how much he was lampooned.